If you have not yet seen the 2013 film Gravity then I highly advise that you stop reading this, go watch it, and then come back so we can discuss our view of the film. OH MY DAYS WASN'T GRAVITY AMAZING!?! 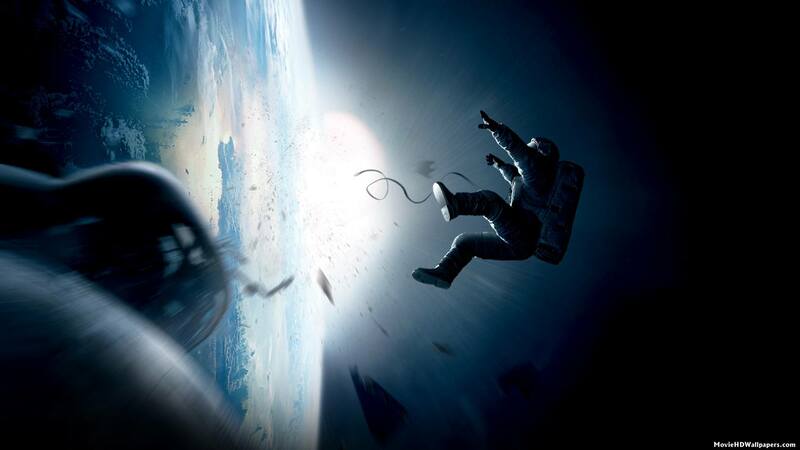 Gravity is an extremely gripping and immersive film that really puts you right into the middle of the action. Thanks to it's amazing camera work and directing, it successfully makes the audience feel like they are in space watching the events unfold. The Imax 3D also greatly contributes to the immersion into the film, adding a realistic sense of depth to the film. Despite the tearful and invigorating background music, I didn't feel so emotionally attached to Sandra Bullock's character. Throughout the film, her painful backstory of her daughter dying is merely hinted at, but unfortunately not enough was explained about, it making it really hard for one to feel as emotionally heart wrenched as the director so obviously wanted you to feel. Granted, to an extent the characters do work really well as the movie was able to keep me gripped to the edge of my seat the entire time. Visually the film was out of this world! (Pun intended). I have heard people say that there were mistakes in realism and the laws of physics, but honestly, 99.9999% of people have never gone into space and don't really know what it's like. So the fact that her hair wasn't flowing in a realistic manner due to the level of gravity where she was, does not not bother me in the slightest or take away to the pure eye-candy that was gravity. The dialog was okay. Nothing amazing, at times it seamed cheesy and unrealistic. Like why is Sandra talking to herself so much and using lame one-liners and jokes when there's no one around? Regardless, for a film that really only has two characters and voices, the dialog had to be good, and nine out of ten times it was. All in all, for the film's revolutionary special effects, fast pace action, gripping storyline and fantastic acting all truly make it a visual masterpiece and an absolute must-see. And for that I give it four out of five exploding satellites. Thank you for reading this review and I hope you enjoyed it! If you did then please share, like and tweet it, and tell as many people about it as you can and I'll love you forever! Sign up to get an email subscription as to when a new review comes out, which will be next week when I review the greatly anticipated film, ENDER'S GAME. So what did you think of the film Gravity? Feel free to comment down below and let me know!